Yesterday I finished painting the laundry room. I still have the trim and baseboards to do - I'll do that after the washer/dryer comes. I don't want them bumping my newly paint job. 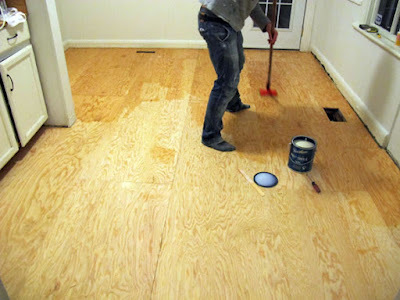 This weekend, my husband will lay down the flooring. The last couple of days, my husband has been patching the cement - and we had ants! We keep running into obstacles. Tomorrow he will put the sealer on the cement and then we'll be done, until January. 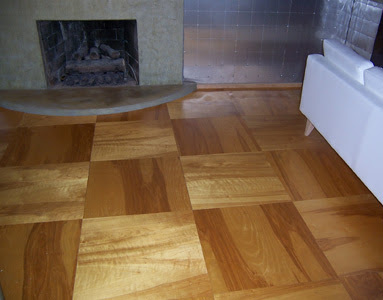 Gives us time, to decide how to proceed with the flooring. I have yet, to put up my Christmas decorations. This weekend, we're planning to deck the halls - Then take 3 weeks off to just enjoy the season. Your new spaces sound great! 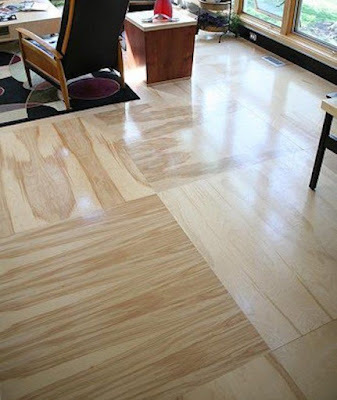 I recently saw burnt wood flooring on pinterest and pinned it to my "decorating" board. Loved the look! The images you shared here are amazing too. Who knew plywood was so beautiful! Thanks for visiting and commenting on my blog. Hi Sept. Violets. We keep changing our minds. It's maddening. Taking a break now, before we get started again, on the 26th. Merry Christmas.